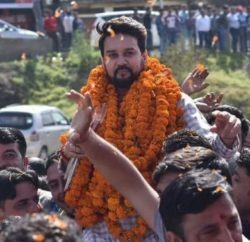 BJP leader and Hamirpur Parliamentarian Anurag Thakur has blamed the Virbhadra Singh led government for stalling the development of the state and now as the Himachal Elections 2017 is near the Chief Minister is on inauguration spree and making various announcements only to woo electorates. Anurag Thakur said that the last minute announcements are showcasing Congress Government’s desperation to woo electorates. 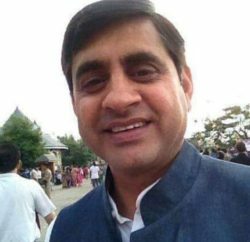 Hamirpur parliamentarian claimed that the Chief Minister had made around 1600 announcements in his present tenure and out of which there is no update on around 1300 announcements. Anurag Thakur also found faults with the government recent decision of slashing VAT on petrol and diesel and claimed that by reducing tax by meager 1 percent, which in comes to 52 paisa on petrol and 43 paisa diesel, the state government has failed to pass on the benefits to the common people. He said the government has taken decision only after the Union Government direction, and if Virbhadra Government was concerned about the welfare of the public it would have lowered a significant amount of VAT like Gujarat or Maharashtra.